Two big games on two different continents this Saturday could decide who goes to South Africa in 2010 – and who stays home. On September 5, the US will host El Salvador in Sandy, Utah, in a match that will be broadcast in the US by both ESPN Classic and Univision – something to be thankful for after no network picked up last month’s qualifier against US rival Mexico. Saturday’s other game, between South American giants Brazil and Argentina, is getting even more attention than normal, as qualification to South Africa rides on the game’s outcome. 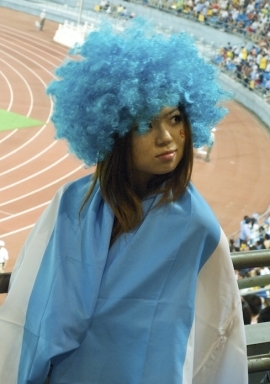 As one controversial ad suggests, the Argentines need a win, and seem prepared to take it by any measures necessary. These are crucial games for both the Americans and the Argentines. With their final two matches against Costa Rica and Honduras, first and second in the standings respectively, the US cannot afford to give up points this week. The US currently sits in third place in North and Central American region’s standings; the top three teams automatically qualify for South Africa. The fourth place team will face a playoff against the fifth place team from South America’s qualifying group—something any team from CONCACAF hopes to avoid. If Argentina isn’t careful, they just might end up being that fifth team. Fourth-place Argentina will play host to first-place Brazil on Saturday, in a resumption of South America’s best and longest-standing sports rivalry. 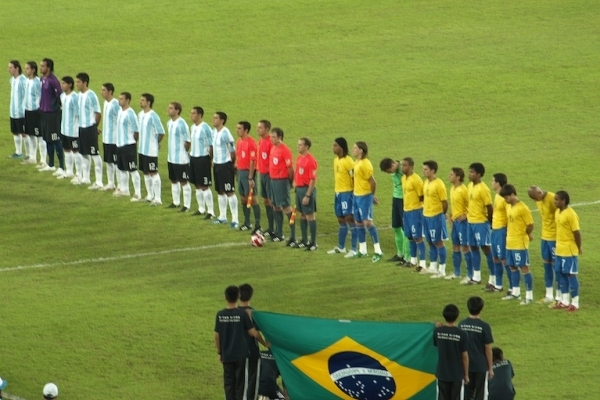 This will be the tenth time Brazilian coach Dunga and Argentinian coach Diego Maradona have faced off. The previous nine matches were all in their playing days, and Dunga’s side didn’t fare too well, only coming away with one win. History aside, it’s no small deal. For Argentina, a loss or tie, coupled with a win by fifth-place Ecuador over Colombia, would mean relinquishing their spot as an automatic qualifier (is it too early to ask what a World Cup without Argentina would be like?). The US should be able to take care of business this Saturday in Utah. While they finished an earlier away game in El Salvador with only one point, the US selection has never lost to El Salvador in World Cup qualifying. On home soil, they should be looking for nothing less than three points. On paper, next Wednesday’s game, in Port of Spain, Trinidad, should be no different. But there are no freebies when you’re on the road. 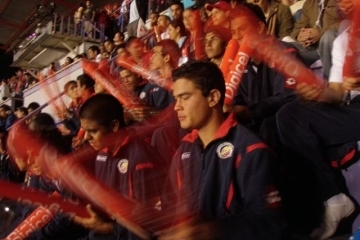 I was there in person for the US’ 1-3 loss in Costa Rica in June, and I was astonished by how the hostile atmosphere rattled the US. With the exception of Michael Bradley and Freddy Adu, the US players were not comfortable with the ball at their feet. It will be important for the US men to get some rhythm going early on in Port of Spain to avoid a similar collapse there. Get your tickets to the US’ upcoming games at the US Soccer website.